" how do you know the battery percentage if you never turned it on? They usually come randomly charged. Well, this phone shows that it was turned on." I told him that , the fact that his test shows it was on doesn't imply it was us who used it. So, we walked back with the phone. Now I see that the USB data connection w PC is unstable - pops on and off all the time when Attached. 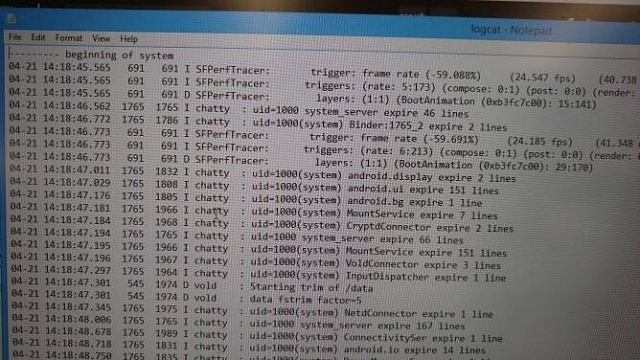 Can I through some special App on PC or Phone look up when was the phone powered on or used for the very first time and if not , can I see specific logs in ADB mode? I want that evidence on me when I go back to the store one of these days. They changed the policy on the returns and I didn't know about it. Now, they charge 35$ for restocking fee. I bought 10 phones in the last 3 years out of which I returned 3 without any problems or charges. Apparently some time last year they change their policy. I already made a mistake-learned a lesson a month ago when bought Moto G5 plus and returned it day later. With Z Play I knew it's a keeper - they had a better deal than vzw and I love the phone already (my wife has 1). Now, having to "prove " stuff to avoid another 35$ fee won't have me buy from them a cellphone again. Even Verizon has for online shopping no restocking fee policy. Well, the very first boot should (there may be variances between OEMs) take a long time to start. You can't use the welcome screen as a litmus test as a reset does the same thing. Something I have never timed is the time it takes to boot a device that is new, reset, and just used. I just used one of the logcat commands in ADB and it showed as "begining of system" yesterday's time - when I started it up after I did my own factory reset (Fastboot erase Userdata, erase cache). Verizon Galaxy S8 Voice to text not working?